Back cover blurb: ALEXANDRA SOUTHWOOD HAS VANISHED . . . AND SHE KNOWS THEY WILL NEVER FIND HER . . . THIS IS UNLIKE ANY OTHER THRILLER YOU'VE READ. 'This story I have to tell is more than a collection of facts. I have no reason to paint a better or worse picture than what really happened. I've already lost everything.' Alexandra Southwood is missing. Her husband is beside himself, or at least he appears to be. She has vanished into thin air; the only traces left are her bloodied clothes by the riverside. It isn't long before the police are searching for a body. But we know that she is alive. That she is being kept somewhere far from her family. That perhaps this wife and mother wasn't quite what she seemed . . . Be warned: this isn't another missing-woman thriller. This is something far more shocking . . . So, I was prepared for this to be an unconventional thriller. But I wasn’t prepared for just how unconventional it would be. Alexandra Southwood is missing, she has quite literally vanished into thin air. The police are only vaguely interested at first, only as much as duty binds them to be. As the days continue and Alex doesn’t return, the police delve into the Southwoods private life. Dr Marc Southwood is obviously expecting this. But what he isn’t expecting is the suspicion targeted at his wife. Her disappearance must surely be an abduction or worse. She simply would not disappear of her own accord. It is incomprehensible. I have to say that for a novel described as a thriller, exhibit Alexandra runs at a fairly slow pace, but it’s final few chapters more than make up for that. 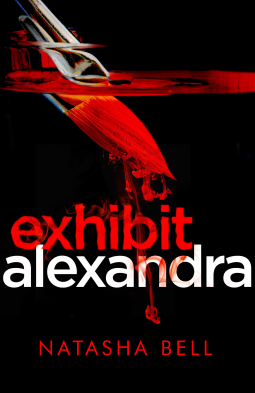 Exhibit Alexandra isn’t going to be everybody’s cup of tea. But if it is yours, then you are in for interesting read. Exhibit Alexandra is available now via Amazon online and all good book shops. Thank You to the publishers who invited me to read an advanced proof copy of this novel in exchange for an honest review.